Using our Sun Care line, you will help, protect and nurture your skin when enjoying days in the sun. 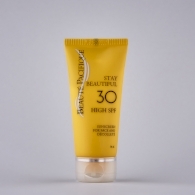 Our unique sunscreens has a high sun factor, and does not only protect your skin against UVA and UVB radiation, it also moisturize as well as reduces the sunburns and sun damages that will otherwise age the skin prematurely. 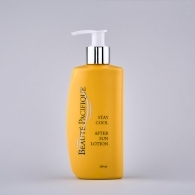 Our after sun is enriched with vitamins, has a great anti-age effect and also works as a Mosquito repellant.